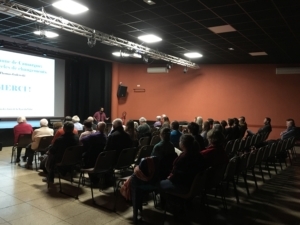 The Friends of the Tour du Valat Association organises seminars on a regular basis for the general public, the ‘Séminaires des Amis’. Anyone can attend for free, and you do not need to register. These seminars take place in the Jean-Paul Taris conference room at the Tour du Valat, or in a room provided by the City of Arles (auditorium of the ‘Maison de la Vie Associative’). For information about the upcoming seminars, visit our events page.